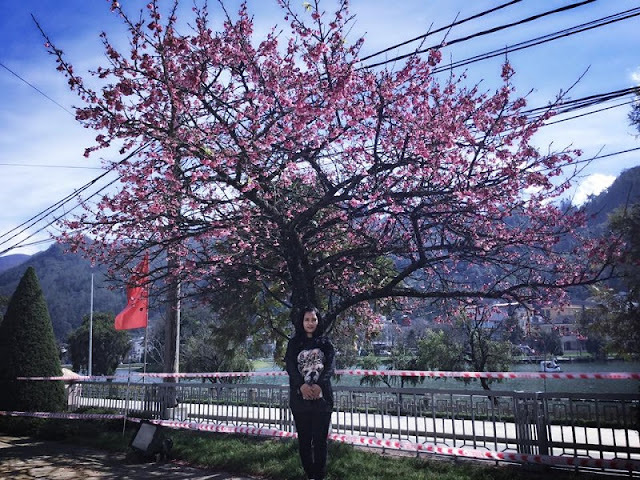 Sa Pa tourist area has 3 views of Japanese cherry blossoms blooming beautifully in Ham Rong mountain eco-tourism area behind Sa Pa ancient stone church; O Long tea hill area is near O Quy Ho Pass and the Sa Pa District People's Committee campus is near the lake of eco-tourism lake in Sapa town. From the first Japanese cherry blossoms planted successfully by the Japan-Vietnam Friendship Association to celebrate the 100th anniversary of the establishment of Sa Pa tourism area (January 10, 2003 - October 2003), in recent years the Garden Hoang Lien (Sa Pa) nation has researched and nursed successfully thousands of Japanese cherry blossom seedlings delivered to local people planted in hotels and restaurants with the hope that Sapa tourism town will become into "Japanese cherry blossom kingdom in Vietnam". 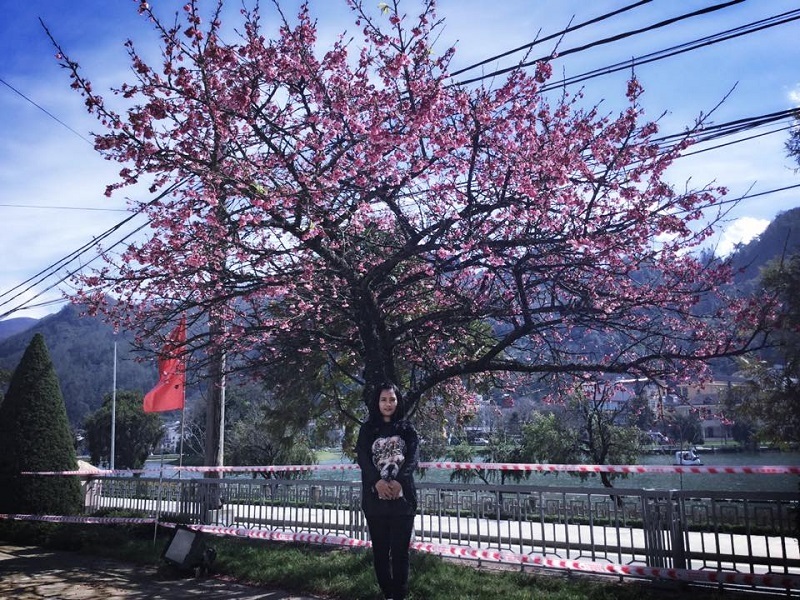 Through learning that the cherry blossoms growing in the highlands of Sa Pa have the Japanese name of Sakura, of the cherry genus. 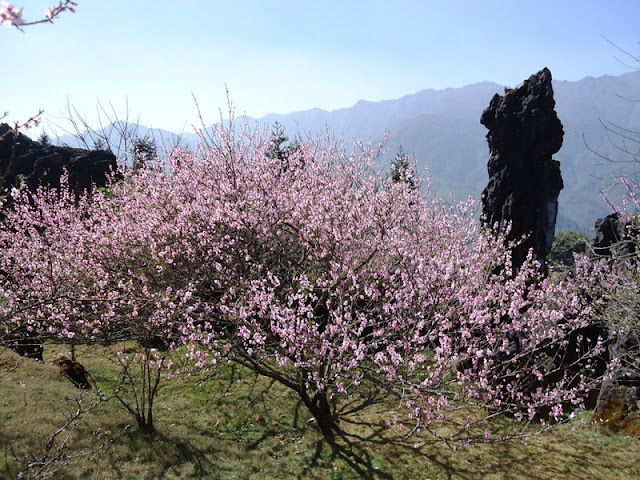 Japanese cherry blossoms grown in Sa Pa often bloom on the occasion of Christmas celebrations or celebrate the new year. This precious flower from Japan is being developed in the Asia-Pacific region, in which some countries such as Thailand, China, India, Indonesia ... grow much in parks for visitors to sightseeing, enjoy. Japanese cherry blossoms have 3 basic colors: white, pink and red but peach pink cherry blossoms are more popular. 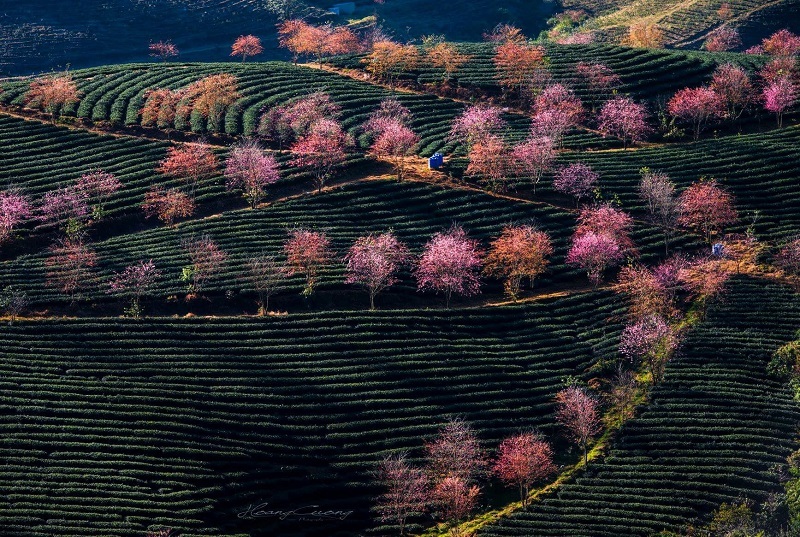 Early spring after the cold days stretching high mountains Sa Pa lit up golden sunshine makes the Japanese cherry trees planted here racing to show off beauty at the foot of Fansipan mountain.